TLC kindly sent me a screener video to preview, but I can't share that with you. I can however guarantee that you will not want to miss tomorrow night's episode! It's amazing what turns up when digging into the past. Valerie Bertinelli embarks on a mission to learn more about her beloved Italian grandmother and discovers her grandmother's mother, an incredibly strong woman who overcame great odds. But the biggest surprises are on Valerie's maternal side, since her mother knows nothing about her own roots. Traveling to England, Valerie uncovers previously unknown connections to the Quakers, early Pennsylvania history, and even the British aristocracy. It boggles my mind that the general public is so infatuated with "celebrities" that they want to be related to them. 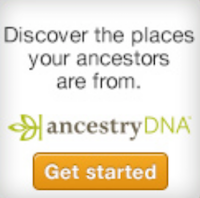 Why not do your own research and find out who your ancestors were? And what does it matter if any were movie stars? I have one in my family but I don't include him, he's too far back in family history to be important to me and my line. I have no blood relationship with him.